Located on the banks of the river Ganga in Uttar Pradesh is a temple devoted to Devi Amba or Durga also known as Vindhyavasini. The name Vindhyavasini has been derived from the Vindhya Range and, literally means “she who resides in the Vindhya”. This temple is also considered to be one of the most worshiped “Shakti Peethas” (sites of worship throughout the country where the ashes of Goddess Sati body parts is supposed to have fallen). 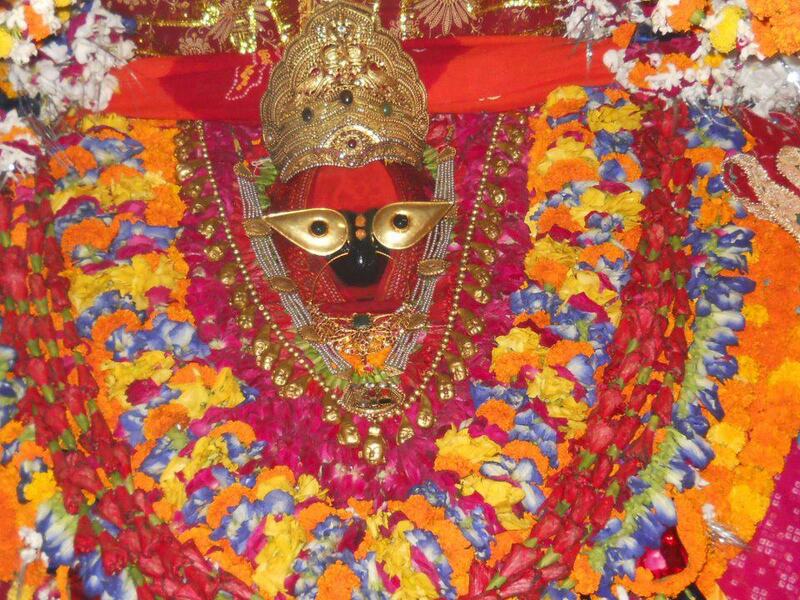 This goddess is also known as “Kajala Devi”. Important travel information related to this temple is as follows. Read more: VARANASI, DISCOVER WHY IS IT A MUST VISIT INDIAN PILGRIMAGE SITE? The perfect time to visit this temple is in between October to March when the climate is extremely pleasant with, the temperature ranging from a maximum of 15 degree Celsius to a minimum of 3 degree Celsius. b. How to reach Vindhyavasini? The nearest railway station to this temple is located in Varanasi. The Varanasi Railway Station is well connected to most of the major cities and towns in the country. There are a number of state transport bus services available from Vindhyachal that connect to major cities in the state such as Varanasi, Allahabad etc. The closest airport to this temple is located in Varanasi. The Varanasi Airport is well connected to major cities in the country. According to folklore the site of this temple is where ashes of the body part of Goddess Sati were supposed to have fallen. Another myth states that when Lord Krishna was born his father Vasudev acting on the advice of Lord Vishnu (so as to protect him from his evil uncle Kansa) replaced him with a girl child. When Kansa attempted to kill this girl, she escaped death by taking a form of a Devi and eventually chose Vindhyachal (location of the current temple) as her residence. Varanasi, Discover Why Is It a Must Visit Indian Pilgrimage Site?